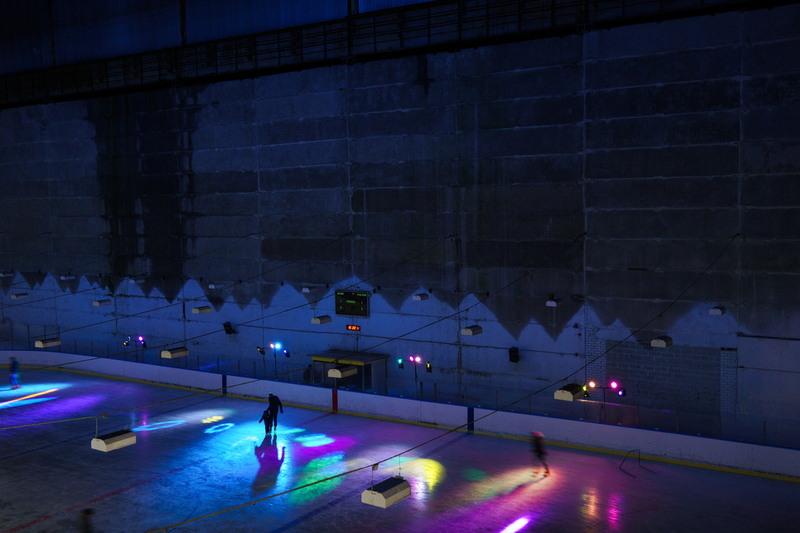 If you’re looking for an activity for your employees that is suitable as a team-building exercise, that brings people together and that is fun at the same time, then we have the solution – the Ice Arena skate disco! Skate disco is fun and can be adjusted to suit your team's needs. It is perfect for groups of 30-150 people. We provide the necessary equipment and a rink booked and lit just for your team. Instructors teach dance moves seen in ice dance shows, or you can just glide along to the music. If necessary we can help to organise entertaining games or small-scale competitions. Our aim is to make everyone feel great on the ice – both those with experience and those who are on the ice for the first time. It’s good to lean on someone's arm during the disco and feel that support is always there when you need. We also take your music preferences into account and will find a suitable DJ. To combat the cold we offer mulled wine and a sauna. If you need a poster to advertise the skate disco, let us know and we will send you a template to which you can add all the necessary information and then print it out in your office.